Omnigo Software was formed after multiple companies came together with one shared vision — to build a world with safer tomorrows. 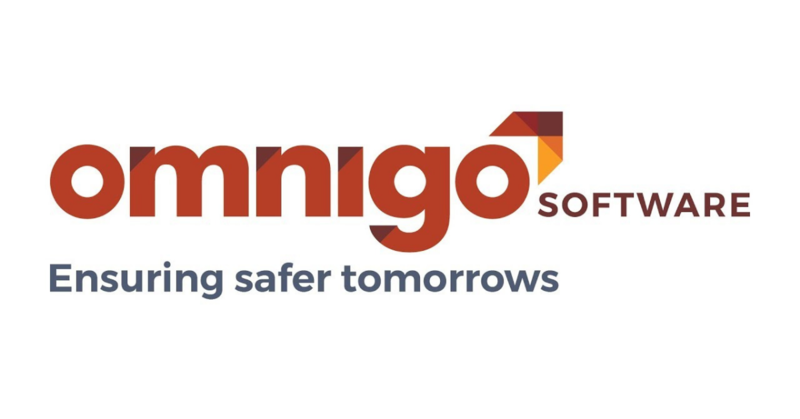 Omnigo provides public safety, incident reporting and security management software solutions that help protect people, brands and properties in a wide range of industries including law enforcement, healthcare, gaming and education. Omnigo came to New Breed during a time of change for the company. They were in the process of bringing four separate companies together under the Omnigo name while transitioning leadership on the marketing team. The new VP of Marketing, Jim Clayman, knew it was time to revamp Omnigo’s website, automation platform and marketing strategy to drive greater traffic and leads. Since one of the companies was already using Hubspot, Clayman decided to combine the other companies under a single automation platform and reconfigure it to Omnigo. Clayman knew that they would need a Hubspot partner to help align and unify all four brands into one platform — and that’s where New Breed came in. Redefining marketing strategy to drive greater traffic and inbound leads. Aligning new brands under a unified Hubspot Portal. Creating a sales-ready website optimized with conversion points and relevant content. Omnigo needed a partner with the expertise to bring their brands together, create a sales-ready website and develop a marketing strategy that helped them grow using the inbound methodology. First, Omnigo needed to revisit the foundation of their marketing strategy. We began by taking them through our Growth Acceleration Workshop (GAW) where we identified their target buyer personas. Since Omnigo was in the process of merging four separate companies, we carefully considered how the different buyer personas from each company would interact with Omnigo and where overlaps existed. At the end of the GAW, we identified six target buyer personas. Omnigo needed a platform that met the varying needs and sizes of their sub-brands. We helped configure Omnigo’s Hubspot Marketing Platform and took them through our Inbound Readiness Workshop where we created customized reporting to fit their needs. Later, this reporting would be key for successfully building their marketing strategy, website and internal processes. Then, we mapped out Omnigo’s funnel using their buyer personas. Because they had six buyer personas in different industries, we had to get creative with lead scoring. We needed to ensure we had a thorough understanding of personas based on role and industry by evaluating various factors and combinations of data. Before coming to New Breed, Omnigo had no content for attracting web traffic and generating leads. New Breed’s Inbound and Content Premier Services teams worked together to create content that appealed to Omnigo’s six different buyer personas, drove high-quality traffic to their site and nurtured leads toward the bottom of the funnel. After lots of mapping, we were able to identify and build conversion paths for all six buyer personas. We used these conversion paths to build Omnigo’s Sales-Ready Website. We helped Omnigo leverage their new Hubspot platform by creating website pages, landing pages and their blog. By using Hubspot’s resource center and HubDB, Omnigo was better able to filter content by type and industry verticals as well. Using Omnigo’s newly-developed content, we tailored Omnigo’s form strategy with inbound best practices in mind. Effective form strategy allowed Omnigo to score leads more accurately and move them further down the funnel. 6 persona-driven premium content offers. Extensive social and editorial calendars. 8 different email nurture campaigns. 4 persona-driven lead nurturing streams. SEO including keyword research, metadata, internal linking and technical error remediation. Topic cluster editorial calendar planning. 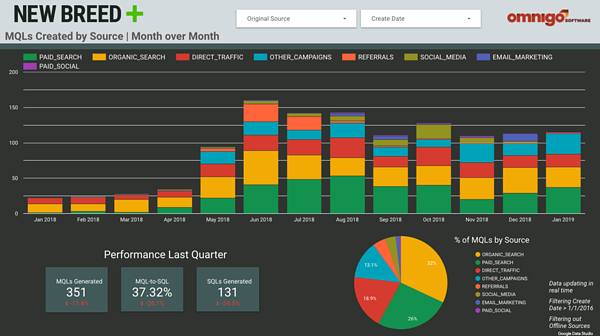 53% increase in visit-to-lead conversion rate. 325% increase in overall sessions. 153% increase in organic sessions. 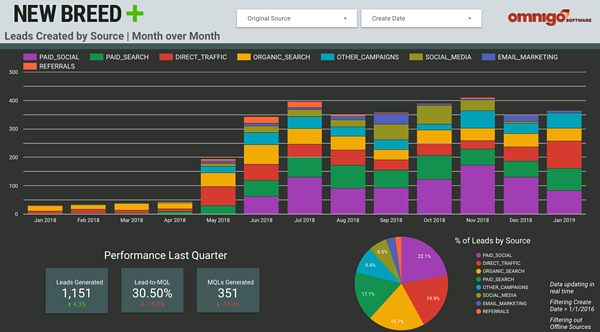 55% increase in new contacts from organic. 204% increase in organic customers. 1600% increase in traffic from email. 360+ re-engaged contacts from the portal’s “unengaged contacts” list. 1800% increase in landing page views. 1,168 new contacts generated from landing pages. The unification of the Omnigo brand required a trusted partner who could guide Omnigo into its next phase. Forming strong partnerships with clients can be extremely valuable — you become an extension of their team. New Breed’s team members were able to think fast and make the difficult decisions to set up Omnigo for ongoing business success. Relying on an open line of communication, we centered our strategy around an in-depth understanding of our client’s needs. We focused on creating a website that encompassed their brand, their product, and their six buyer personas with inbound best practices in mind. Continuing to improve and iterate on the website to improve conversions. Consulting on the overall demand generation strategy. New Breed is able to offer Omnigo the support it needs in creating a meaningful impact for its client base. Now that they’re set up with a solid inbound foundation, Omnigo can deliver a wide range of services to a large set of industries — and get them one step closer to achieving their vision of a safer tomorrow. "Over the past year, New Breed has been a valuable partner in helping us develop and launch our new sales-ready website, as well as assisting us with content development, inbound marketing, and SEO. The team at New Breed is knowledgeable, responsive, and efficient, and their contributions have been key to our team's success this year."